Whoever said, “You are what you eat,” had it right. 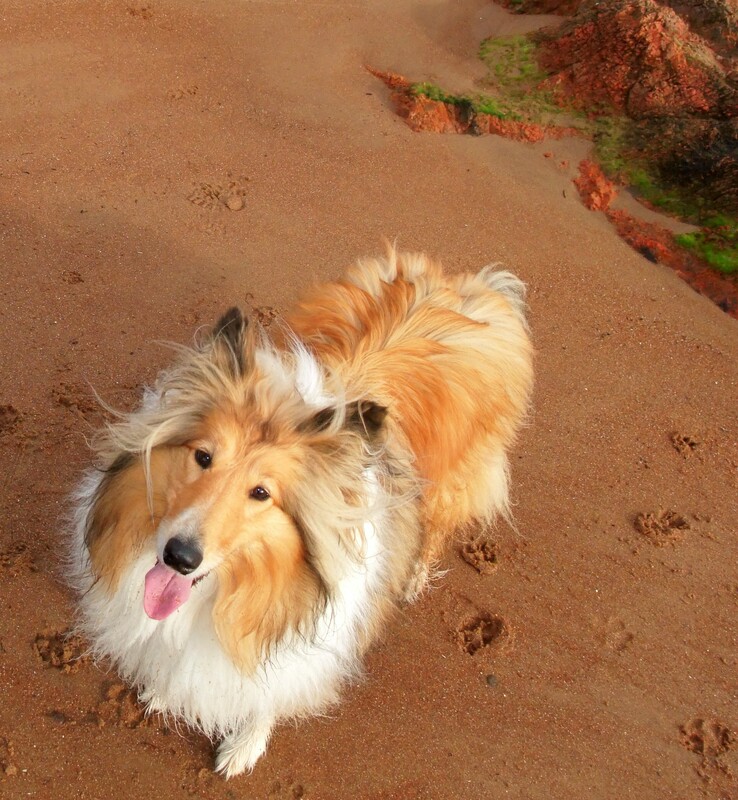 Our rough collie, Angel Joy, is a living testament. Angel Joy developed irritable bowel syndrome (IBS). For nearly a year, life at our house was miserable. Angel Joy’s stomach made runaway train sounds at night. She woke me up repeatedly to take her outside because of constant diarrhea. After each trip outside, she had to be cleaned up before we went back to bed. She lost stamina and energy. Our daytime walks decreased in length. A few times I picked up the fifty-pound dog and carried her part of the way back. Every few days, I had to cook chicken and rice for her. She had pills and tube medicine to take three times a day. Because it took so long to diagnose and the vet wasn’t completely assured that IBS was Angel Joy’s only problem, expensive and time-consuming medical procedures were planned that would require us to take her nearly 200 miles away. As a stop-gap measure, the vet put Angel Joy on a gastro intestinal dog food. For treats, she could have cooked chicken – nothing else. Even the vet was amazed at the result. For the first time in nearly a year, we slept through the night. Angel Joy re-gained the weight she had lost and recovered the joy reflected in her name. Walks lengthened as her energy and stamina returned. Anything Angel Joy eats – other than the special diet food and cooked chicken – causes a return of IBS symptoms, even something as seemingly insignificant as one fry that drops on the floor. There is a spiritual parallel to this. Proverbs 23:7 says that as we think in our heart, so we become. Jesus said it is what comes out of the mouth that defiles a person, not what goes into the mouth, because we speak from what is stored in our hearts. The cliché, “Garbage in, garbage out,” is as true as “You are what you eat.” We become what we allow to pass through the physical gateways of our body, our eyes and ears. Whatever we read, whatever we watch on television or movies, whatever we hear – all these build us into what we become. The Bible provides a reliable filter for spiritual health, “Whatever things are true, whatever things are noble, whatever things are just, whatever things are pure, whatever things are lovely, whatever things are of good report, if there is any virtue and if there in anything praiseworthy – meditate on these things.” Philippians 4:8. Guarding physical and spiritual health in 2015 builds us for now and eternity. Posted on January 17, 2015 by authorstephanieparkermckean •	This entry was posted in Uncategorized and tagged Bible, food, Irritable Bowl Syndrome, Jesus. Bookmark the permalink. ← Celebrate torn, worn pages!